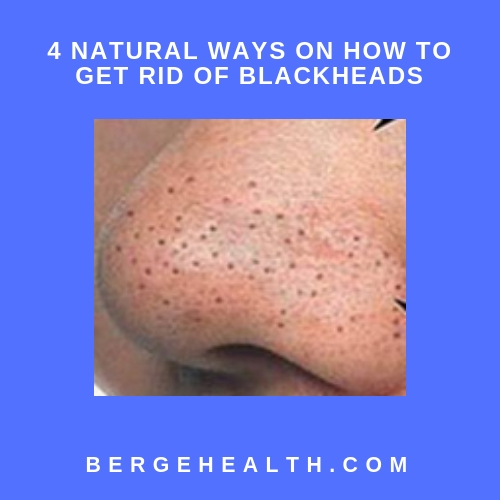 4 Natural Ways on How to Get Rid of Blackheads - Blackheads become one of the annoying skin problems. It is often regarded to decrease your physical appearance when it is seen closely. Dead skin cells blocking face pores due to excessive oil production belongs to a mild acne category. If you have that problem, you can implement some natural ways on how to get rid of blackheads in your face. Tomato contains lycopene featuring antioxidant. It is trusted to prevent and get rid of blackhead effectively because it is able to prevent free radicals and leave dead skin cells blocking your pores. By applying tomato routinely to be a face mask, skin pores will get small so that the bacteria doesn’t penetrate easily to form blackhead or acne. To use it, firstly rinse the tomato and blend it. Then, apply it on your face and let it for 30 minutes until the mask is dry. After that, rinse it with cold water. The next natural way on how to get rid of blackheads is using soybean. The content of vitamin E is relatively high making the soybean having the great benefits for your skin. The soybean will function to be antioxidant protecting your skin from evil bacteria. To use it, prepare soybean to dip for 5 to 10 minutes. While waiting, wash your face with warm water in order to make your pores opened. Blend the soybean and apply to your face for 20 minutes. Rinse with warm water. This natural material is very popular for body treatment. For the people having an oily skin, it is unfamiliar to recognize the benefits of aloe vera. The aloe vera contains astringent and saponin having a function to be anti microbe compound and anti-bacterial. The aloe vera gel will become a substance to lift the fat or oil causing acne and blackhead in your face safely and effectively. Take aloe vera and apply the gel of aloe vera evenly in your face. Do massage on the blackhead face area to ease the lifting process of the blackhead after rinsing. Let it for 20 to 30 minutes. Clean it warm water. The last way is making white gg mask. The contained protein in a white egg can reduce the size of your facial pores. The content of magnesium will absorb excess oil. Two contents will surely decrease and get rid of the attached blackhead in your face if it is routinely applied to be face mask. You can make white egg mask at home as a natural way on how to get rid of blackheads. 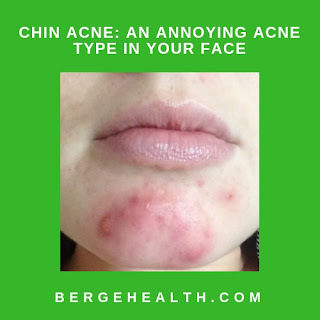 Chin Acne: An Annoying Acne Type in Your Face - Having a chin acne in your face is very annoying. Despite disturbing your daily activities, the acne is decreasing your physical appearance so that it needs to be overcome. Basically, acne can happen to all people of different ages. But, this condition often happens to teens. These are some things about the chin acne to know. 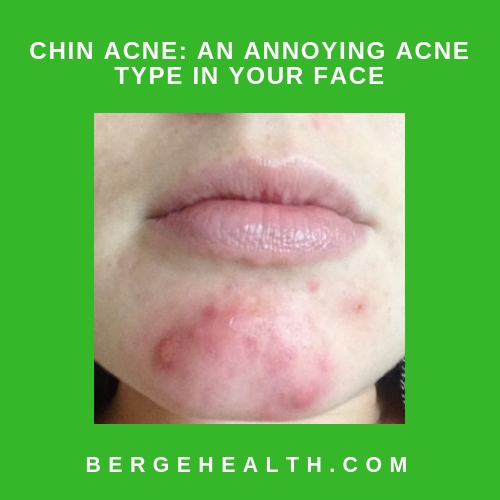 To prevent and get rid of the chin acne, you must know some causing factors. Despite having the hair follicle blockage in the face, chin acne can be influenced by several other factors. Consuming medicine containing lithium, corticosteroid, and hormonal treatments. The appearance of chin acne is influenced by the habit of touching face or chin with your dirty hands. The occurring risks of the chin acne can also increase due to the genetic factors, unhealthy lifestyle, and environment. Read Home Remedies for Acne, Why Not? One of the ways to cure a chin acne is applying the healthy lifestyle and habits every day. There are some ways that can be applied to avoid the appearance of that acne. Doing exercises routinely and regularly can help to keep your skin healthy by stimulating blood circulation. When the blood circulation runs normally, skin cells will get more oxygen assumption and issued dead skin cells. However, don’t forget to make sure the cleanliness of your skin face after doing exercises. Lack of sleeping can make someone stress. If you feel stress, a production of glucocorticoid hormone will increase. This hormone can disturb a function and skin structure so that it can cause the appearance of chin acne. Thus, you have to sleep sufficiently and regularly every day at least 6-9 hours. Some kinds of foods can make your blood sugar and insulin increasing quickly. If it contains much insulin, it can cause the growth of pore blocking cells and make the appearance of the chin acne. To prevent this condition, you have to increase the consumption of nuts, seeds, and vegetables. Cleaning face two times a day can help to prevent the appearance of chin acne. The face skin has oil gland producing much more oil than the other skin parts in the body. Thus, cleaning your face regularly must be conducted every day. Choose the right facial foam to your skin types. Chin acne is annoying and disturbing. But, you must avoid touching the acne causing skin irritation and serious condition. Try to apply those healthy habits. There are many women having a problem with a pimple. The pimple’s appearance is sometimes unpredictable. It is surely annoying. There are also psychological effects together with the pimple appearance. The serious pimple type is a cystic pimple. 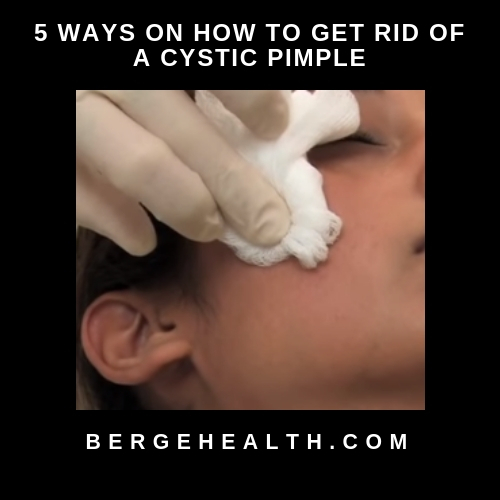 There are some ways on how to get rid of a cystic pimple. Ice cube is very famous for getting rid of some skin problems like a pimple, big skin pores, and acne spots. By compressing the skin with an ice cube, it can be an effective way to get rid of a cystic pimple. You should make a formula with this ingredient. Mix ice cube with lemon and honey to increase its benefits. A cystic pimple can be removed by oral drugs or antibiotic drugs that you drunk. The application of those drugs cannot be conducted carelessly. It must be under the control of the doctor. The antibiotic drugs are working inside to kill bacteria on the acne and heal the acne in a short time. That is why it becomes the best choice for removing your cystic pimple. The next way on how to get rid of a cystic pimple is using aloe vera. You can make your own aloe vera gel. But, you can buy ready aloe vera gel in the market. There are some brands of the gel. You can apply it regularly to fight for a cystic pimple. Try to apply it regularly until the cystic acne is removed. If you dislike those above ways, you can try to find the other alternatives. You can use a lemon. This is a rich vitamin C fruit. You can use it to get rid of a cystic pimple. The lemon can be made of being a face mask. Firstly, prepare a fresh lemon and divide to be two parts. Use a half of lemon. Squeeze lemon to get the lemon water. Take a side. Mix a spoonful of lemon water with a spoonful of water. Mix it well. Apply it on the acne-area face. It is working effectively to get rid of a cystic pimple. The last way is applying an acne soap. The face treatment to reduce a cystic pimple cannot be separated from the facial foam or soap. Washing your face is important to remove dust and dead skill cells causing the growth of acne. Choose the best acne soap for all skin types to get rid of a cystic pimple. Those are the ways on how to get rid of a cystic pimple. 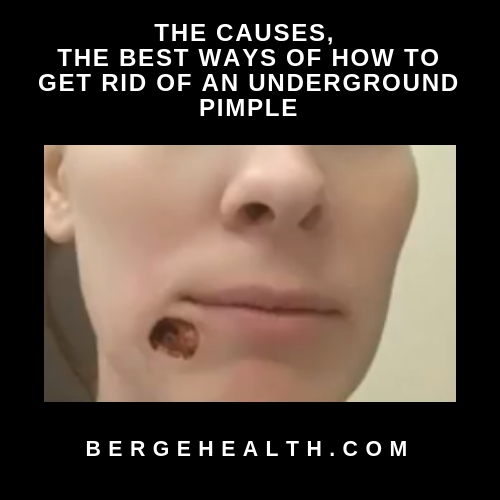 Do you know what underground pimple and how to get rid of an underground pimple? It is called an underground pimple because this pimple deeply grows under the surface of the skin. Usually, it is known as cystic acne. It happens if the pore breaks under the skin. Then, it causes an inflammation on the tissue. This pimple is not same as a standard pimple. Why? This pimple is really deep in your own skin. So, the way to treat it is perfectly different. You have to remember that you cannot squeeze this pimple. Why? Because it can cause a serious pain. It will cause a bruise and also permanent cars. Then, how to get rid of an underground pimple? Let's these explanations! You can use a cleanser of gentle acne and also warm water to wash the area which is affected by the pimple. Massage your skin by using the cleanser for about two to three minutes. After that, you can rinse it and use your clean towel to dry it. Do this step once or twice a day. Use a washcloth and hot water to make a hot compress. Place and let it on the pimple for about 30 minutes. To treat a pimple, you can also use little treatment of topical acne. Use the topical acne which contains benzoyl peroxide of acne fighting. Repeat those steps every day until your pimple has really cleaned. Remember, do not touch, squeeze, or use dangerous cosmetic. It is for getting fast heal of your underground pimple. To do the steps above, you need some things. What are they? You can prepare some things such as acne cleanser, acne treatment, towel, warm water, and compress. After you get all of those things, do as well as possible! Actually, this pimple is similar to or same with bug bites in which the bites are so large. It is usually red and it is rather raised. It is different from a standard pimple because it has a life span which is longer. That's why we say that they are different. If this pimple goes continuously, try to ask solution to the doctor in order that you get good treatment for your pain of an underground pimple. Well, have you understood and got ready to do the steps of how to get rid of underground pimple? Just try it and good luck! 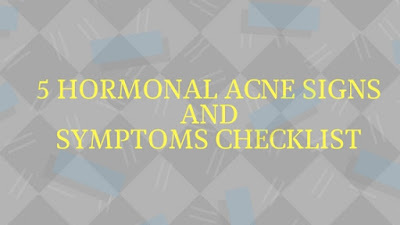 5 Hormonal Acne Signs And Symptoms - ChecklistSurely no one wants to have trouble with acne. As we already know, that acne has many types, among which the most popular is hormonal acne. Hormonal acne usually appears when you are 20 to 40 years old, why can it happen like that? this happens hormonal fluctuations in the human body. These hormonal fluctuations lead to increased facial oil production, as well as clogging pores, and ultimately lead to acne. 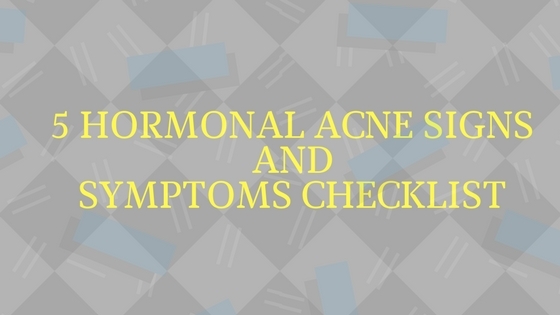 Here are some signs you are experiencing hormonal acne. Then what kind of a sign? 1. The appearance of Acne on the chin and jaw. One of the signs of hormonal acne is showing up around your face. This acne arises because these hormones experience excessive stages in the body that cause stimulate oil glands around the chin. 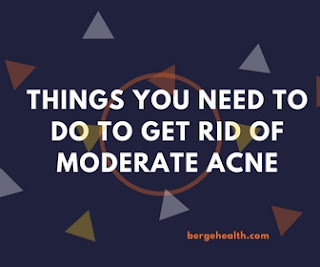 Although the chin and jaw are the places where the most common occurrence of the appearance of hormonal acne, it does not rule out this acne will arise on the side of the face or down your neck. Hormonal acne often appears in cyclical patterns like menstruation. Hormonal acne tends to appear at the same time every month. Hormonal acne is common in your 20s. Usually at this age is when hormones in humans are actives. At the age of 20 years is the peak of the most fertile age, it makes women more susceptible to fluctuations in hormones. It will also be experienced when you are having a period of pregnancy, childbirth, or breastfeeding. Cortisol and stress hormones can affect other hormones present in the human body. Usually, women are susceptible to hormonal fluctuations and often this makes women suffer from acute stress, not ordinary things, if this makes the acne appear worse, you can read it here. Hormonal acne will not appear in the form of blackheads, but rather a painful lump. 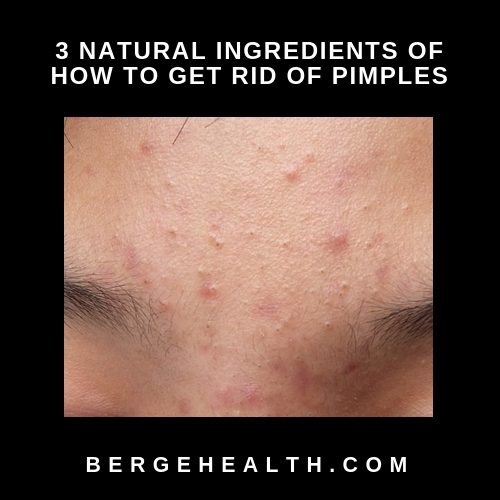 These hormonal acne lumps are usually tender to the touch, because the oils that accumulate under the skin for several days or weeks, this happens because of the inflammatory reaction. Moderate acne on your face can be very annoying. It often looks red and inflamed, and the worst thing is you cannot get rid of it easily. This type of acne will not disappear with some cheap over the counter medicines and it also takes long to heal. But you don’t have to be sad and worry too much about your acne. With these treatments, you can say goodbye to the pimples and get your smooth face back. To make sure you can get effective treatment, you need to be sure that the severity of your acne is indeed in the moderate level. Here are some signs of that you have moderate severity acnes. - It looks red and inflamed, but not as red as severe acnes. - The pimples feel painful. - There are more than 20 blackheads or whiteheads on your skin. - There are more than 15 red and itchy bumps. Now that you are sure that you have moderate acne, here are some treatments that you can try. When it comes to this type of acne, using over the counter medicine will only waste your time and money because it will not work. However, if you have yet to find time to go to the doctor and want to use over the counter medicine first, you can use Benzoyl Peroxide. Unlike other over-the-counter treatments, benzoyl peroxide is effective to treat moderate acnes. It is known for its effectiveness in treating inflamed acnes. But it is also great to reduce blackheads. Normally, this treatment will need around two or three months to work. Doctors usually will prescribe topical retinoid and antibiotic to treat acnes with moderate severity. Retinoid will accelerate the healing process of the cells so the acne will disappear faster and it also will prevent scarring. Meanwhile, topical antibiotic is great to treat inflammatory breakouts. It will reduce the amount of bacteria on your skin so the pimples will not be inflamed and heal faster. If the acne is caused by hormonal imbalance, the doctor will prescribe hormone regulator, which is beneficial to stabilize hormone fluctuations. As a result of this treatment, the acnes will slowly start disappearing or even doesn’t appear in the very first place. Moderate acne can easily get more severe if you use wrong treatments. So, make sure you consult to your dermatologist first and don’t be tempted to use unsafe topical medicines that promise fast result. 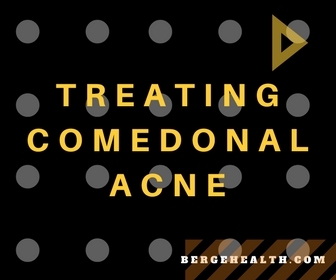 Comedonal acne is common problem for some teenagers but most of them do not realize and just consider this case as the ordinary comedo. Comedonal acne is the condition where there are some blackheads pimples appear into your skin. Then, what is the causes of this kind of acne? There are some causes that can make you have the comedonal acne. First, comedonal acne can appear in any ages but it commonly appear during the teen years. It can be one of the causes of puberty and the effect of the hormonal factors. People who are in puberty might have changed their hormones. The amount of their hormones might changes and it is not steady. It might cause some effects into the skin. Then, comedonal acne can also be caused by the heredity. If some of your relatives and even your parents have this type of acne, you will get the high risk to get the comedonal acne. Especially, the one who has the type of oily skin will be more risky to get this type of acne. Next, comedonal acne can also be caused by the usage of any kinds of cosmetic products. People might get the result from applying any skin products which might not appropriate and fit to their skin. How to treat the comedonal acne? The common method to clear the comedonal acne is by choosing the right facial wash. People need to buy the product which contains of salicylic acid and even glycolic. This substance can help you to clean the pores and the skin. It can help to throw away any debris and dead skin. Then, you can also choose the products with the benzoyl peroxide help people to wash and clear the skin’s surface and even kill the bacteria from people’s face. Then, there are some different medicated method to solve comedonal acne problems. People can try microdermabrasion, microcrystal, laser treatment to kill bacteria and even remove any kinds of the outer layers of the skin. You can also ask the medicine as the oral method to control the hormonal which might causes the risk of comedonal acne. These kinds of treatments which might need more budget and money. People need to spend a lot of money to solve this problem through this kind of medication. It is better to try the traditional method first to clear your comedonal acne. Acne breakouts can be very frustrating but it is the scars that we really detest. The worst thing of all is there are actually several types of acne scars and different type of scars will require different treatment. Eliminating acnes can be very difficult but the scars can be even more to get rid of. If you want to get rid of the scars, make sure you know the type of the scars first so you can choose the most suitable treatment. According to dermatologists, ice pick scar is the most difficult to treat among other types of acne scars. This scar is mostly small but it goes very deep into the dermis. But in some more severe cases, it is possible to get bigger scar holes. The most common treatment for ice pick scars is punch excision. Skin graft is also possible by taking skin from other part of your body and put it inside the scars. However, if there are too many scars, which is usually the case, radiofrequency treatment might be needed. This treatment will help your skin to produce more collagens and the collagens will be used to fill the holes of the scars. Similar with ice pick, boxcar scars also make the skin depressed. However, the surface is much wider. It happens because there is not enough collagen during the healing process to sustain the shape of the skin. Punch excision is also effective to treat boxcar scars. However, since the holes are much wider compared to ice pick scars, dermal filler is considered a more effective treatment. Layers of fat will be injected to the skin to help filling the depressed scars. Contrary to the first two scars, hyperpigmentation doesn’t necessarily involve depression. There might be nothing wrong with the surface of your skin, but it will be discolored due to the inflammation of the acnes. Hydroquinone is effective to bleach the skin and removes the pigmentation. During the hydroquinone therapy, you must remember to use sunblock. It is important because exposure to sun will make the pigmentation worse. Getting rid of acne scars is very difficult, not to mention expensive. So, the best thing you can do is to prevent the scarring to appear at the very first place. Don’t pick on your acnes and consult your doctor to get the best acne treatment. 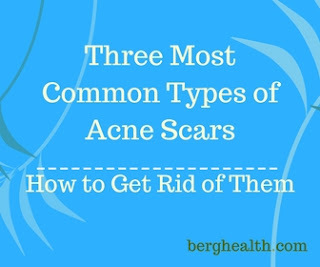 But if the scars are already there, make sure you choose the best treatments according to the types of acne scars.